Nagaihama has spacious, flat sandy beaches which are perfect for beach sports. A beach volleyball tournament is held by the Japan Volleyball Association on this sandy beach, where the top players from all over Japan gather. 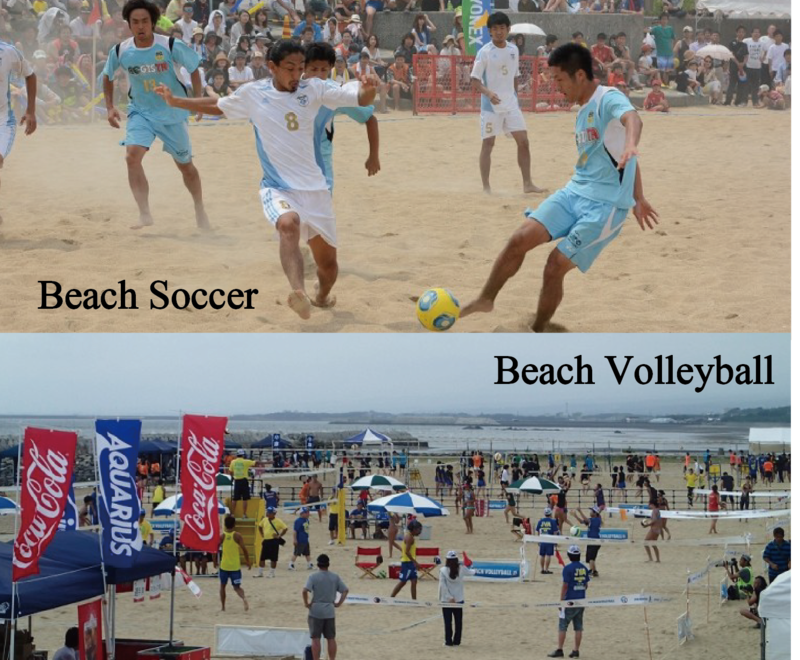 Japan’s strongest beach soccer team, “Dorsole Kita Kyushu”, also hosts a beach soccer tournament here.